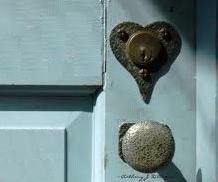 He who holds the key to my door has the key to my heart. Every time I hear the lock turn my heart jumps out my chest. I run into your arms & all my fears are put to rest. Why haven’t you approached my door, why hasn’t your key turned my lock. My chest is burning & this hurt won’t stop. I need your embrace to extinguish this pain. I want you so we can dance in the rain. Come home baby, put your key in the door, it still fits & here waiting my love sits.